Tesla has stopped selling the larger of its two Powerwall home batteries, citing a lack of interest from consumers. All mentions of the 10 kWh Powerwall have disappeared from Telsa’s website and press kit. 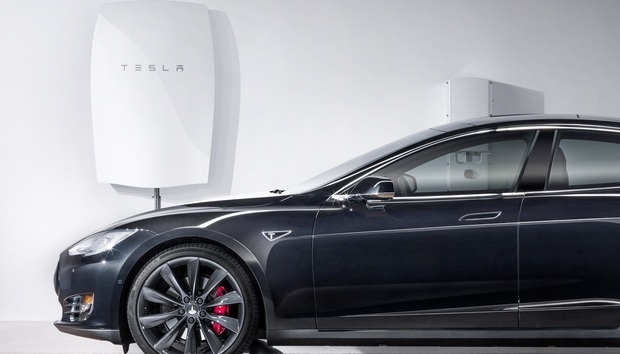 While Tesla didn’t initially explain the move, a representative confirmed to Greentech Media that it has discontinued the product, as customers preferred the smaller 7 kWh version. The difference in the two products was not merely capacity. Tesla only designed the 10 kWh Powerwall to serve as a backup energy source for solar panel users, and the lithium ion only lasted for a mere 500 cycles. Greentech Media notes that some lead acid batteries are cheaper and last for more cycles, and even some state-of-the-art generators are more economical than Tesla’s backup solution, which cost $3500 for installers. By comparison, Tesla’s 7 kWh Powerwall can be used for daily cycling, allowing solar panel owners to avoid using energy from the utility grid during peak hours, or to go off the grid completely. The Tesla representative said the Daily Powerwall can also be used for backup “simply by modifying the way it is installed in a home.” At $3000, it’s cheaper than the larger Powerwall as well. Why this matters: Although Tesla CEO Elon Musk has claimed that Powerwall has been a huge success, apparently that popularity only extends to the smaller, more versatile version. It now seems the company will focus on daily use as it prepares to launch a second-generation Powerwall sometime this summer.